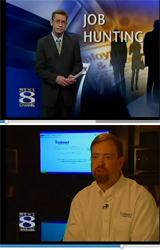 I was recently interviewed on WTNH-TV news for this story about using social media to find a job. From a sample of 1000 recent SEO jobs, I've gathered a snapshot view of where the SEO jobs are located around the US. InHousers - an InHouse SEO and SEM network! This is a call for all In-House SEOs and SEMs to join us at the network/community site InHousers.com - come and participate in In-House related conversations without the distraction from bloggers, SMMs, agency folks, self-promoters, etc. 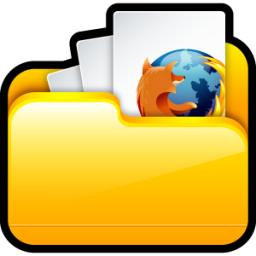 Join conversations related to InHouse SEO without the clutter! OK, this has nothing to do with SEO or Twitter or etc... I'm a proud dad, again, with a new baby girl! I've attended several SEMNE events/seminars in the past two years and want to formally thank Jill Whalen, Pauline Jakober, and new director Jonathan Hochman for the opportunities for networking and learning that SEMNE provides. 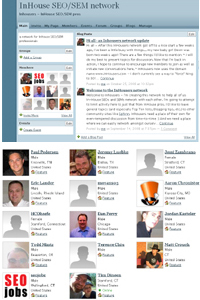 Via host SEOmoz: enjoying a game of Black Hat vs. White Hat (vs. Matt Cutts) in Werewolf at PubCon 2007. 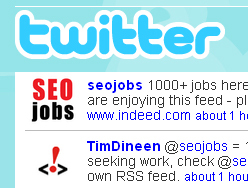 Job Search Engine Indeed.com selected to Time magazine's Top 10 websites of 2007. PS: Thanks to all for a great experience!